Organizations have found that functional approach to business destroys flexibility and agility by gaining experience over the time. The main weakness with Task-based organizations is that they can hardly act flexibly and adapt themselves to the changing environment. In today’s' dynamic and competitive business world, organizations focus significantly on managing and improving their business processes. Therefore, nowadays to be survived and successful, certainly, the process approach must be followed. In addition, organizations having such improvement and innovations are looking to create organizational wealth. In this regard, the present study is trying to identify and describe processes from reputable reference models in Customer Relationship Management (CRM) and more importantly to design and streamline CRM processes effectively for organizations in order to improve processes and offer value to customers. In this paper, first, by identifying and explaining CRM reference models, three models were selected based on five criteria (flexibility, Understandability, comprehensiveness, Completeness, and Usability) using Analytic Hierarchy Process (AHP) technique which is relative as follow: SAP, CCOR & PCF. Then, the processes of the three models were extracted and gathered in a comprehensive list to offer a united framework to design CRM processes. Finally, a case study will show the applicability of the proposed model. With this paper, we enrich research by a valuable process framework for developing well-designed reference models. Abu Amuna, Y. M., Al Shobaki, M. J., Abu Naser, S.S, and Badwan, J. J. (2017), “Understanding Critical Variables for Customer Relationship Management in Higher Education Institution from Employees Perspective”, ITEE, Vol. 6, No. 1, pp. 10-16. Amer Ijaz, P. A., (2005). “Objectives, Strategies and expected Benefits of Customer Relationship Management”, Dissertation of Master graduate of Lulea University of Technology, pp 26- 30. Avila, D. T., (2018). “Process Modeling Guidelines: Systematic, Dissertation of Master graduate of Universidade Federal do Rio Grande do Sul”, Programa de Pós-Graduação em Computação, Porto Alegre, pp. 3- 48. Brocke, J.V., (2015). “Standing on the shoulders of giants: Challenges and recommendations of literature search in information systems research”, Communications of the Association for Information Systems, Vol. 37. Burghard, C., and Galimi, J. (2012). “Customer Relationship Management: New MCO catalyst”, Gartner, Advisory, Vol. 1, pp. 2-3. Dijkman, R.M., Vanderfeesten, I.T.P., and Reijers, H.A., (2011). “The road to a business process architecture: an overview of approaches and their use”, BETA publication: working papers, Vol. 350, pp. 1-7. Fettke, P., Loos, P., and Zwicker, J., (2005). “Business Process Reference Models: Survey and Classification”, International Conference on Business Process Management, Springer Link, BPM 2005: Business Process Management Workshops, pp. 469-483. Garbutt, M., and Schuler, J. (2016). “Towards an Understanding of the Integrative Relationship Between Business Process Management and Enterprise Resource Planning, Association for Information Systems”, AIS Electronic Library (AISeL), CONF-IRM 2016 Proceedings. 3. Harrison, D.E., (2016). “Understanding the Impact of Information Quality on Customer Relationship Management”, Doctor of Business Administration Dissertations, College of Business Kennesaw State University. Jede, A., and Teuteberg, F. (2016), “Towards a Document-Driven Approach for Designing Reference Models: From a Conceptual Process Model to its Application”, Journal of Systems and Software, Vol. 111, pp. 254–269. Kale, V., (2015). “Implementing SAP CRM, The guide for Business and Technology Managers”, CRC Press, pp. 229- 251. Kalpic, B., and Bernus, P. (2002). “Business process modeling in industry – the powerful tool in enterprise management”, Computers in Industry, Vol. 47, pp.299 – 318. La Rosa, M., van der Aalst, W.M.P., Dumas, M., and Milani, F.P., (2015). “Business Process Variability Modeling: A Survey”, ACM Comput. Matook, S., and Indulska, M., (2009). “Improving the quality of process reference models: A quality function deployment-based approach”, Decision Support Systems, Vol.47, pp. 60- 71. Mendoza, L., Marius, A., Pérez, M., and Griman, A., (2017). “Critical Success Factors for a Customer Relationship Management Strategy”, Information and Software Technology, Vol. 49, pp. 913–945. Moody, D., and Shanks, G., (1994). “What makes a good data model? Evaluating the quality of entity relationship models”, in: P. Loucopolous (Ed. ), Proceedings of the 13th International Conference on the Entity Relationship Approach, England, Manchester. Njoroge, E.W., and Ombui, k., (2016). 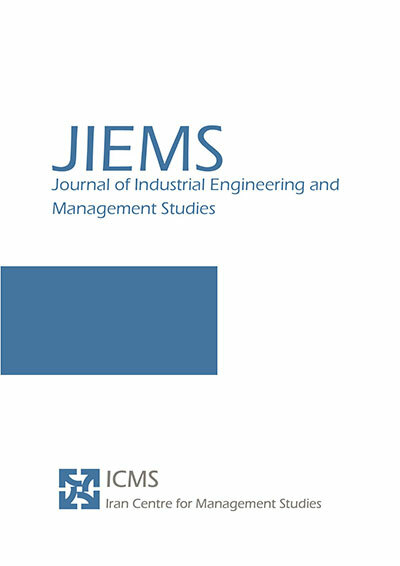 “Determinants of Customer Relationship Management Strategies on the performance of Small and Medium Enterprises in Westlands Nairobi City”, International Academic Journal of Human Resource and Business Administration, Vol. 2, No. 1, pp. 17-28. Oufkir,L., Fredj, M., and Kassou, I., (2017). “Performance Measurement for Knowledge Management: Designing a Reference Model”, Journal of Organizational Knowledge Management, IBIMA Publishing. Payne, A., (2005). Handbook of CRM: Achieving Excellence in Customer Management, Elsevier, Oxford, UK. Payne, A., and Frow, P. (2013). “A Strategic Framework for Customer Relationship Management”, Journal of Marketing, Vol. 69, No. 4, pp. 167-176. Schuette, R., and Rotthowe, T., (1998). “The Guidelines of Modeling - an approach to enhance the quality in information models”, International Conference on Conceptual Modeling, Springer Verlag Berlin, pp. 240-254. Spiegel, T., and Caulliraux, H.M., (2012). “Developing an Organizational Reference Model by Selecting and Integrating Multiple References”, Journal of Management Research, Vol. 4, No. 1. Thomas, O., (2005). “Understanding the Term Reference Model in Information Systems Research: History, Literature Analysis and Explanation”, Satellite workshop of the Third International Conference on Business Process Management, France. Thomas, O., (2006). “Understanding the Term Reference Model in Information Systems Research: History, Literature Analysis and Explanation”, Proceeding of the Business Process Management Workshops (BPM), 5 September, France. Yadav, S.K.S., (2016). “Customer Relationship Management is the need of today”, BEST: International Journal of Humanities, Arts, Medicine and Sciences (BEST: IJHAMS), Vol. 4, No. 2, pp. 107-116.